Prompt is a very fast setting material, however it’s set can be adjusted using TEMPO. TEMPO is specially designed to adjust the setting time of Prompt Natural Cement to the working pace of the professional. The set of Prompt is also affected by the ambient temperature; the warmer it is the faster the mortar will set. 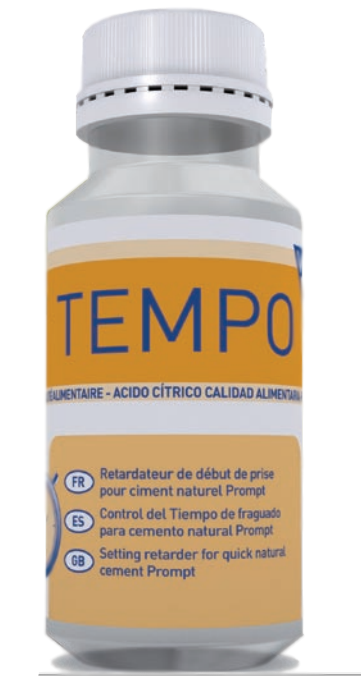 TEMPO is easy to use, comes in an 80g bottle and a full bottle is a suitable quantity for a full bag of Prompt.